dressed up like a lady: Ocean Girl! Does anybody else remember this show?! 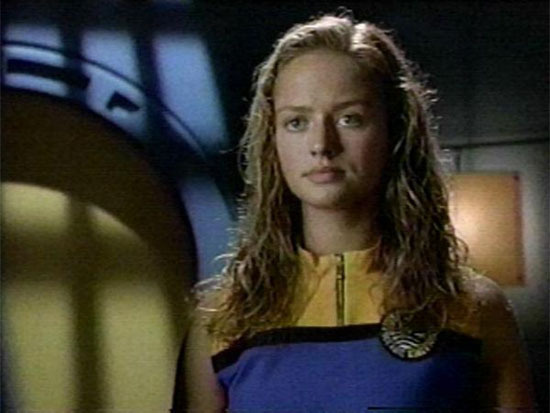 I watched the Australian aquatic science fiction adventure series Ocean Girl when I was about 13 on the Disney Channel, and I'd be lying if I said it was for any reason other than a MASSIVE girl crush on star Marzena Godecki, who played the leading role of Neri, an effervescent but mysterious girl who lived alone on an island, communicating with whales and letting her reams of golden hair whip around in the ocean breeze. She had super powers that enabled her to swim for curiously long distances, and had an altogether preternatural connection to the sea. Additionally, the actress who played her was my absolute DEFINITION of beauty! Half the time I spent watching the show was probably devoted to wistful sighing, and the abstract fantasy of one day being so captivating and pretty. How can you argue with that earnest, determined expression? Oh, and one last thing -- which you MUST have seen coming. MC won't let it go unless I include a photo of what I actually looked like at 13 (something I've already done, but what's another stab at embarrassing truthfulness). Of course, you can imagine what MC says: that I was just as effervescent and beautiful as Neri then, and that I still am now. I'm a lucky duck to have a guy who thinks that, and while I don't want to get a big head, what with all this adoring, unconditional goddess worship and all, I will say this: Neri's beauty felt unattainable and impossible when I was 13, but not so much anymore. 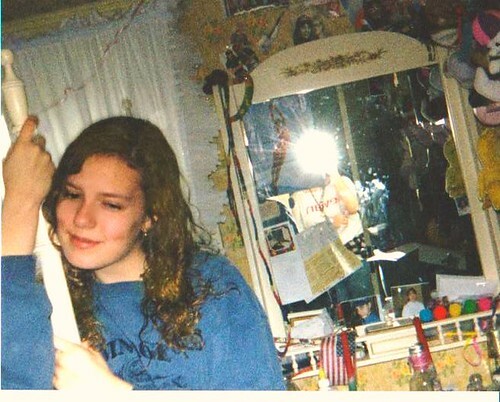 I was no teen model, but in a photo caught on 110 film, holding a white canopy bedpost in my 1994 bedroom, wearing my brother's sweatshirt and surrounded by acid-trip 70's wallpaper, nerdy cutouts from magazines, and stuffed animals I won at the fair, Ocean Girl's beauty doesn't seem like quite as much of an impossible dream. So score one for hindsight, I guess. I hope you are aware that you haven't aged at all :O How is that possible? I'm Australian & I don't remember that show! 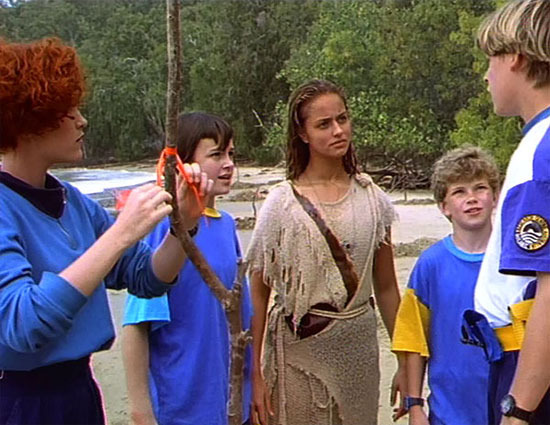 I do recognise Bronson from the later seasons of Round the Twist standing behind her in the group shot though. the hindsight photos of when I was the 13 were like wow, I was so pretty. I can't believe how low my self esteem was then.